When you need sheet metal fabrication, make Tuckey Metal Fabricators, Inc. your first call. For over three decades, we have been providing advanced machining and welding services to clients throughout central Pennsylvania. We offer fast turnaround times, high tolerances and excellent customer service for large orders, repairs and one-off jobs. Whatever your fabricating machining needs are, we have the technology and experienced staff to accommodate them. Give us a call today and discover for yourself the Tuckey Metal Fabricators difference. 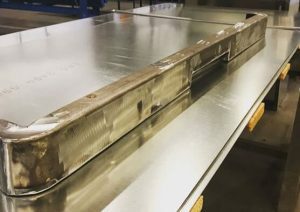 We’ve invested in the highest-quality CAD and CNC products so we can deliver sheet metal fabrication and other mill righting services for our clients that meet the strictest tolerances. Today’s manufacturing facilities demand extremely precise metal fabrication, and we’ve got the equipment that delivers. 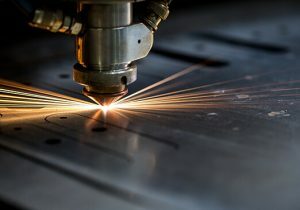 Using our high-definition automated plasma cutting system, we can fabricate anything from thin-gauge sheet metal to 1/2″ steel plates. We can accommodate a large number of materials including stainless steel, copper, aluminum and exotic metals. Our team of sheet metal fabricators includes some of the best-trained professionals in the business. From welders and machinists to engineers and estimators, we’re fully equipped to provide the most comprehensive service possible—with a quality product, accurate job costing, fast turnaround times and no-nonsense billing. 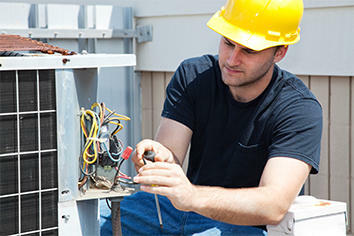 We even offer field service for metal fabrication at your facility. Our fleet of mobile metal fabrication trucks is ready to go 24/7 in the event of an emergency. Simply call our live customer service hotline, and we’ll dispatch a team to your site right away. Whatever you need sheet metal fabricated for, we can deliver quality results. In the past, our team has produced ornamental architectural trim, duct work and piping, material handling equipment and more. Contact us today with the specifics of your project, and we’ll complete an accurate estimate and mockup using CAD technology. Since 1978, Tuckey Metal Fabricators has been leading the way with forward-thinking technologies and services. We strive to be pioneers in the industry when it comes to incorporating energy-efficient equipment and the use of recycled or recyclable materials. We’ve worked for clients big and small, and we go out of our way to impress each one, no matter the size of the order. Contact Tuckey Metal Fabricators today and experience the difference our commitment to quality makes!